Previously, we had harped about 10 incredible battles that were fought and won against overwhelming odds. But as history is witness to past events of significance – battles and wars are not only about glorious victories; some of them also poignantly account for their fair share of high human casualties. So, without further ado, let us check out five such huge battles fought by various ancient factions that made their bloody mark on the course of human history. Please note* – This is a list of five OF the bloodiest battles in ancient history, as opposed to five BLOODIEST battles in ancient history. In other words, there are some conflict scenarios that had to be left out. Fought between the ancient Greek city-states and the Persian Achaemenid Empire near the small town of Plataea (in Boeotia, central Greece), the numbers involved in the Battle of Plataea primarily come from Herodotus. According to him, the gargantuan scale of the conflict pitted around 300,000 Persian troops (also included Greek battalions) against 108,200 Greek soldiers. However, according to most modern estimates, such figures might have been exaggerated to show the Greek in more favorable light. Anyhow, the overall battle may have still involved around 200,000 men – which is an incredible scope considering the logistics required for such a high number and generally fractious nature of the Greek city-states. In any case, the battle started out when the Persians had retreated and then fortified themselves beside the town of Plataea, as a counter to the amassing of Greek forces that marched out of Peloponnese. Oddly enough, the confrontation remained in stalemate for almost 11 days, since the Greek hoplites were wary of the mobile cavalry forces of Persia making use of the terrain. It also has been suggested that both the forces were equally matched, and so neither of them were willing to give up their advantageous position. 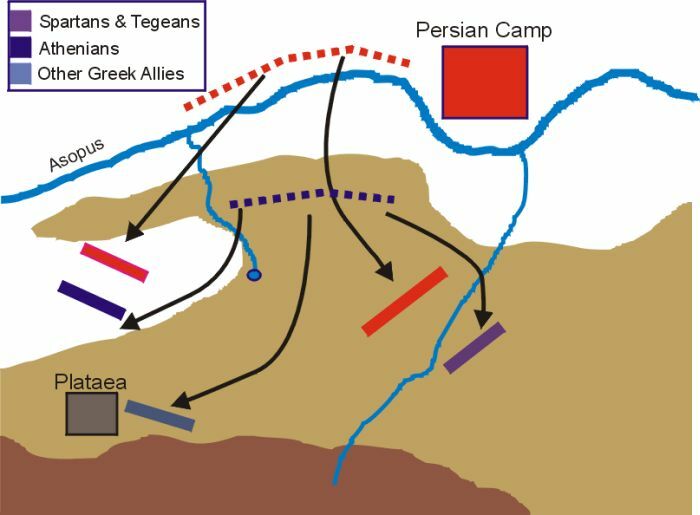 In any case, the Persians did manage to cut around the Greek right flank and burn their supplies; and then followed it up with frontal cavalry assault on the main Greek body. This ploy seemed to have worked at first, as the Greeks began to fragment with their flanks getting isolated. The Persian left-flank even crossed a river to pursue the Greeks, and that proved to be the crucial mistake on their part. Almost in a surprising manner, the Greek right-flank (consisting mostly of Spartans and Tegeans) counterattacked, and the bolstered by their left-flank pinned the Persians down on all sides. This finally resulted in a massive Persian rout, since the heavily armed and bronze-armored hoplites could easily resist the projectile blows from their lightly-equipped foes. 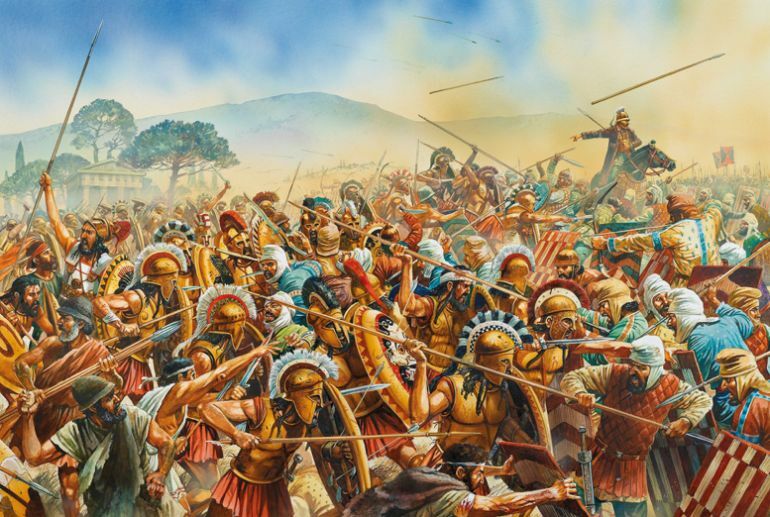 Impact: While not as well known as the Battle of Marathon and the Battle of Thermopylae (involving ‘300’ Spartans), the resounding victory Battle of Plataea resulted in over 20,000 Persian casualties. This allowed the (usually defensive) Greeks to go on an offensive strategy for the coming years (and culminated in Alexander’s Persian conquests), thus entirely changing the course of Greco-Persian wars. Epitomizing the crescendo of conquests undertaken by the burgeoning Maurya Empire (that consisted of present-day India, Pakistan, Afghanistan and even parts of Iran), the Battle of Kalinga was fought between the vastly numbered Mauryan forces of Emperor Ashoka and the still-unconquered feudal republic of Kalinga (which was based in the modern state of Odisha, in eastern India). In many ways, the conflict alluded to the clash of the infringing empire and the freedom-loving folk – with Ashoka already making a ruthless name for himself in the preceding years of far-flung conquests. As for the numbers game, most sources concur that the battle was a significant event in the annals of Indian history, with Greek traveler Megasthenes pointing out how the Kalinga forces fielded more than 60,000 soldiers and 700 elephants (along with a very high number of armed civilians), while the Mauryan army probably consisted of over 100,000 soldiers. Now oddly enough, in spite of such high numbers involved in the battle, there is no clear-cut recording of the actual strategies used in the ensuing clash. 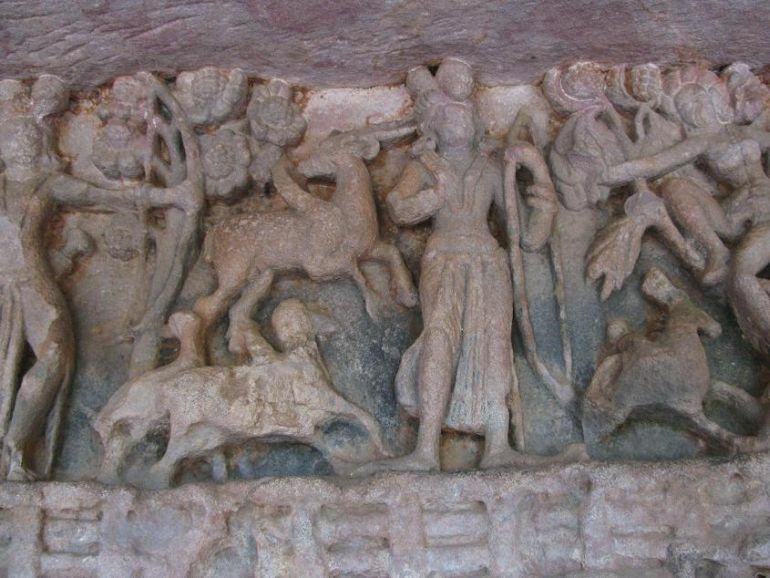 However, what is certain is the baleful scope of fatalities brought on by the battle – with Ashoka’s edicts describing how over 100,000 Kalingans were killed, while Mauryans achieved a hard-won victory. Afterwards, now that Kalinga was annexed, the Beloved of the Gods very earnestly practiced Dhamma, desired Dhamma, and taught Dhamma, On conquering Kalinga the Beloved of the Gods felt remorse, for, when an independent country is conquered the slaughter, death, and deportation of the people is extremely grievous to the Belovedof the Gods, and weighs heavily on his mind. No war in the history of India as important either for its intensity or for its results as the Kalinga war of Ashoka. No wars in the annals of the human history has changed the heart of the victor from one of wanton cruelty to that of an exemplary piety as this one. From its fathomless womb the history of the world may find out only a few wars to its credit which may be equal to this war and not a single one that would be greater than this. The political history of mankind is really a history of wars and no war has ended with so successful a mission of the peace for the entire war-torn humanity as the war of Kalinga. One of the most famous battles of the Punic Wars, the Battle of Cannae established the importance of generalship over sheer numbers. Fought between the Roman Republic and the allied soldiers of Carthage (comprising African, Spanish, and Gallic contingents), the course of the conflict was dictated by the tactical acumen of the great Carthaginian general Hannibal. In fact, the battle in itself is still regarded as one of the complete ‘tactical victories’ achieved by one side, while also accounting as one of the worst defeats faced by the Romans in their usually unblemished history. As for the numbers, there are varying sources that pertain to different figures present on the battlefield. For example, according to Polybius, the Roman fielded over 80,000 men, while the Carthaginian forces were significantly outnumbered at around 50,000. However, more modern estimates put the Roman numbers over 50,000 and the Carthaginian numbers at less than 40,000 (thus still maintaining the credible hypothesis that Hannibal was substantially outnumbered). In any case, the high number of Romans didn’t matter, with Hannibal opting for a seemingly strange tactic that involved the placement of his light Gaulish infantry in the center (who masked the heavier African infantry). So when the disciplined ranks of the heavy Roman infantry pushed forward, the light infantrymen gave way to gradually disperse at the flanks. This pseudo-retreating ploy actually worked with the Romans being confident of their ‘push’ and overwhelming numbers. However, their deep incursion into the Carthaginian lines allowed Hannibal to come up with a crescent formation that gradually enveloped the Roman forces on both flanks. Thus the Romans were finally trapped, and the situation was further exacerbated when the mobile Carthaginian cavalry came up from behind to completely block their ‘escape route’. In the ensuing bloodbath, Polybius estimated that around 70,000 Romans met their gruesome deaths (Livy puts the figure at around 55,000; modern estimates put the figure at around 40,000), and 10,000 were captured – all in a single day; while Hannibal lost only around 6,000 of his men (mostly the Gauls who bore the brunt of the Roman infantry charge). Now to put things into perspective, the worst day in the history of the British Army usually pertains to the first day of the Battle of the Somme in 1916, where they lost around 20,000 men. But the male population of Rome in 216 BC is estimated to be around 400,000 (thus the Battle of Cannae possibly took away around 1/10th of Roman male population), while Britain had a population of around 41,608,791 (41 million) at the beginning of 1901. Impact: Quite exceptionally, the Romans grew to be even more formidable after some years of this disastrous defeat. 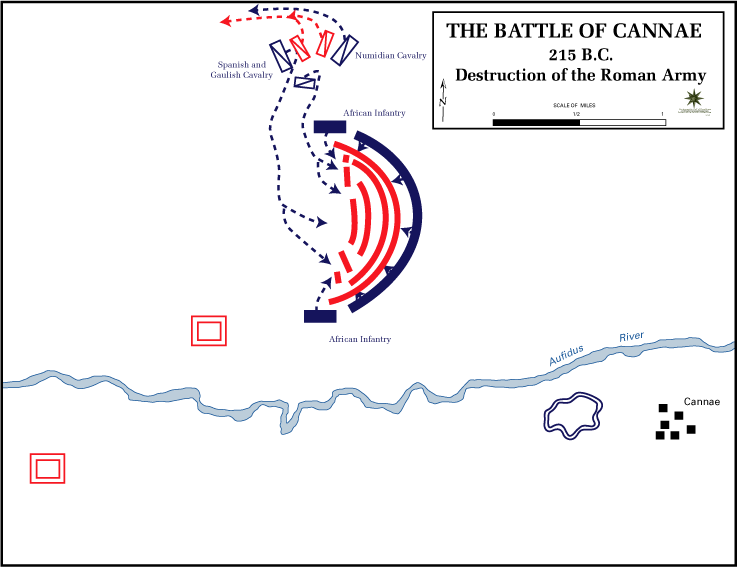 Part of this recovery had to do with the brilliant generalship of Publius Cornelius Scipio – who actually survived the Battle of Cannae, and had keenly studied the methods of Hannibal. The same strategies were in turn used against the Carthaginian general, to result in a resounding Roman victory at the Battle of Zama in 202 BC. This perhaps underlines Rome’s greatest strength – that didn’t lie in its arms, but in its unflinching capacity to recover from calamitous circumstances. 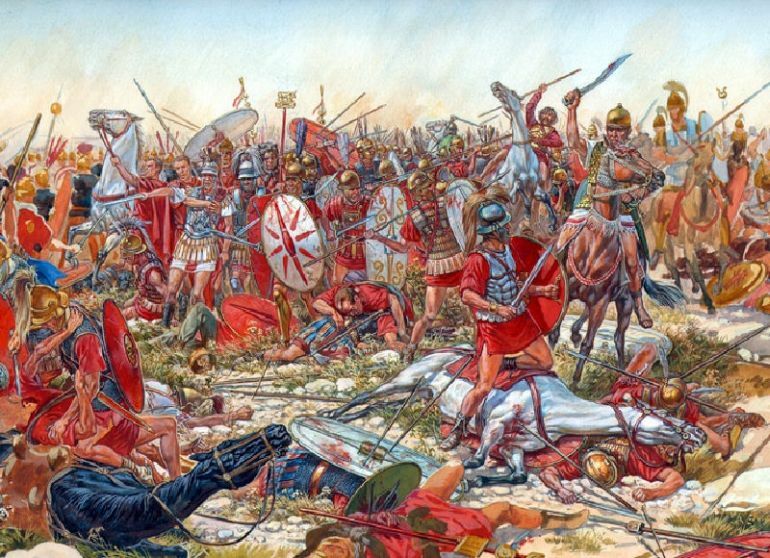 1 Comment on "5 of the bloodiest ancient battles that made their mark in history"
Gaugamela was a pretty big battle. Maybe the biggest and most decisive of the ancient world.